The Rawlings utility player: the classic 5150. This single piece alloy design features a huge sweet spot, loud ping, and a balanced feel. No matter where it hits in the lineup, it brings proven performance time and time again. Get your 5150 Youth USA Bat today, right here at CheapBats.com! No Hassle Returns, Batisfaction Guaranteed! Pros: We bought this bat for our 8 year old in a 28/17 configuration. He was moving from a 27/14 and other than the weight differential there is no complaints. The ball comes off the bat good and he loves the way his swing feels. He is a switch hitter, right hand dominant, but his left hand swing is much more consistent with this bat than his older one. I would recommend this bat to anyone looking for a new USA Bat. Pros: Quality bat for the price. My 8 yr old can get this around quickly due to its 30â€ -11 ratio. He is strong for his age and this works well for him. Crushing it!! A -10 at that length gets hard to swing even for the strong kids. Pros: Got this for my 8 year old son. Great solid bat. Nice Sweet spot. Has good pop right out of the wrapper. Has a real nice sound when good contact is made. One of the very few USA approved Big Barrel bats that was 16oz. I would definitely recommend for those that prefer a lighter bat in the 2 5/8 size. Pros: Bought the bat for my 7 yr old after originally purchasing the Louisville slugger omaha. The omaha is a little too end heavy but hell grow into it. The boy swings it just fine. 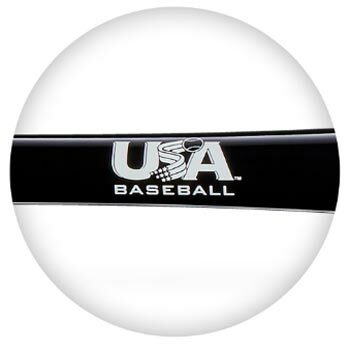 Seen and heard all the USA bats and for the performance you can't go wrong with this bat. Pros: We bought the 28/17 bat for our 6 year old rookie. It is the perfect bat for him. He loves it and hits extremely well with it. Iâ€™m not trying to give all the credit to the bat, BUT my son has become the best hitter on his team since he started using it. Pros: Good quality bat. My 8 year old likes it and it has good pop. Cons: Itâ€™s weighs more like 18.4 ounces than the stated 16. Rawlings lies a bit in that one. Pros: Bat grip, bat weight, solid pop. Ball jumps off the bat pretty well for USA bat, especially compared to some of the pricier bats. My 9 year old liked it and said the ball jumps off the bat similarly compared to his 2016 Mako. Cons: Wish barrel was longer. It is a tad on the small side. 1 star off because of it. 3 of 7 found this review helpful. I was wanting to buy the Rawlings 5150 in a 28 to 17 but when I click the size it doesn't show up, it has a 27 and a 29. Do you carry the 28? Chris, when sizes like that don't show up it just means we are currently out of stock. That bat is new, so if we're out we definitely have it on order and it's only a matter of time before we get it in again.